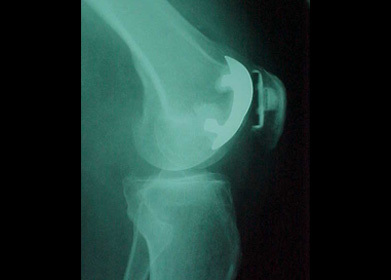 Once damaged, these soft structures are unable to keep the patella (knee cap) in position. Patellofemoral Instability can be caused by a number of factors that affect the way the patella moves along the groove of the femur (trochlear groove) when the leg is bent or straightened. The patella normally moves up and down with a slight tilt without touching the other knee bones. In Patellofemoral Instability the patella does not maintain its normal path of movement and can slip out of the trochlear groove either partially (subluxation) or completely (dislocation). Pain, especially when standing up from a sitting position. Feeling of unsteadiness or tendency of the knee to “give way” or “buckle”. Recurrent Subluxation: When the kneecap slips partially out of place repeatedly. Recurrent Dislocation: When the kneecap slips all the way out of position repeatedly. Severe pain, swelling and bruising of the knee immediately following subluxation or dislocation. Visible deformity and loss of function of the knee often occurs after subluxation or dislocation. Surgical treatment of Patellofemoral Instability is sometimes necessary to help return the patella to a normal tracking path when conservative treatment options are unsuccessful. The goal of surgery is to re-align the patella and decrease the Q-angle. Proximal re-alignment procedures – Proximal re-alignment involves lengthening structures on the outside of the patella that are restraining movement and/or shortening ligaments on the inside of the patella. Usually done in young patients still growing, it is often done in combination with distal re-alignment. Distal re-alignment procedures – decrease the Q-angle by dividing the tibial tubercle so that the bone and patellar tendon can be moved toward the inside of the knee. Screws are used to reattach the bone to the tibia. Your surgeon will decide which options are best for you depending on your specific circumstances.